In 1215, King John I of England faced a domestic crisis as several baronial landholders rebelled against his heavy-handed rule. Though their written "Articles of the Barons" sought protection for themselves, the rough document was edited and amplified by the Archbishop of Canterbury as a charter of basic rights, becoming the Magna Carta, and further mythologized by later scholars who used it to argue for the rights of all citizens. Historian and television presenter David Starkey here untangles historical and modern misconceptions about one of the founding documents of democracy. 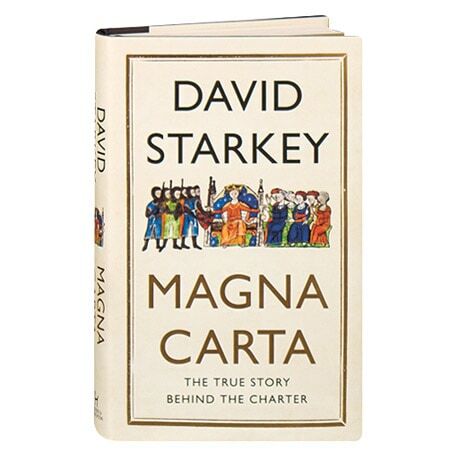 Along the way, he shows how the Magna Carta laid the foundation for the British constitution, influenced the American Revolution and the U.S. constitution, and continues to shape jurisprudential thinking about individual rights around the world today.